I Instagrammed this picture earlier this evening with some words about Mondays, and writing, and remembering times past, in the thick of a nostalgic mood (along with an Instagram mood…I’m kind of obsessed lately), and the words are flowing a little stronger today so I thought I’d elaborate on the days that are Mondays. I feel like everyone hates Mondays. Those are the dreaded days of the week that bring a return to work, and an end to relaxation. On the other hand, call me crazy, but I actually love Mondays. To me, they feel like a fresh start, a clean slate, a return to work, yes, but a return with the intentions of being better and more productive than the week before. Mondays are also my days for nostalgia. Mondays are for memories, and for missing people, and for reminiscing about times past, before friends moved, and people changed, and when life had a slightly different vein of magic running through it. Not necessarily more magic, or better magic, just a slightly different vein of it. 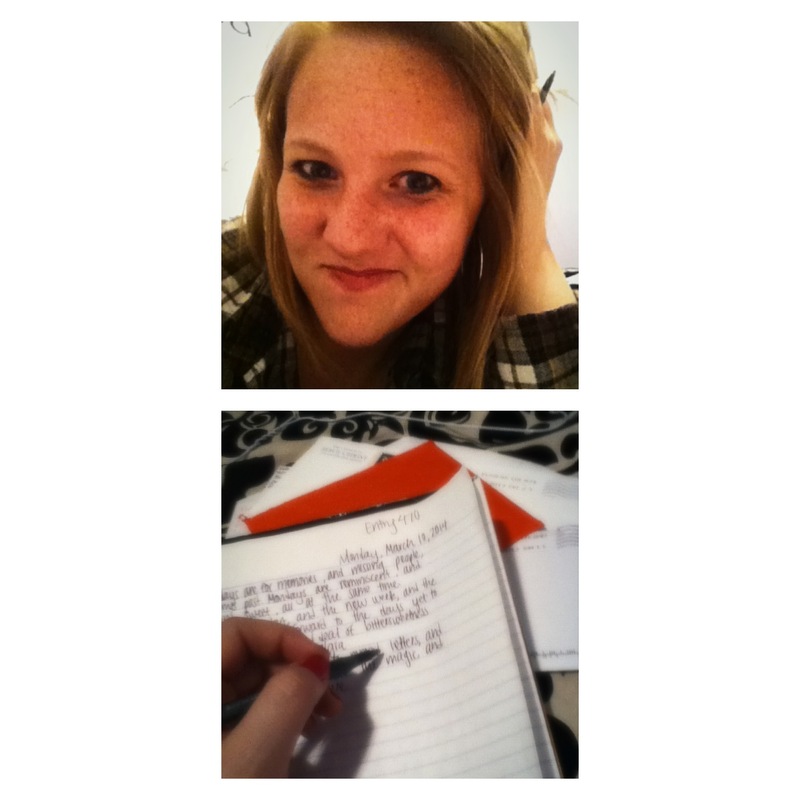 On Mondays, I reread letters, and journal entries, and flip through photos. I get this strange desire on Mondays to bring back the past for an hour or so and smile on the idyllic life of seasons long gone. And despite what one may think, especially considering my romantic and sometimes dramatic nature, this doesn’t make me sad at all. Nostalgic, yes, but sad, no. Life was just different back then. That’s simply all there is to it. Not better, or worse, just different. And holy cow do I miss some people. Friends, and more than friends, that no longer reside in little Idaho with me. I do wish that they were closer, and that times with them didn’t seem like such distant, long-ago moments. But I have an unending belief that everything happens for a reason. I know that there are a million different ideas about how or why events happen, and feel free to take whatever stand on that idea that you want to, but as for me, I believe that nothing happens without a purpose. I think that it’s this belief that makes Monday memories a happy, and peaceful, and heart-filling occurrence. But yes, Mondays. Mondays make me remember, and give me the itch to tiptoe back into the past for just a second. Mondays give me words, and thoughts, and ideas, and a smile. Yes, Mondays are for memories. Previous Post well hello again! I’m so glad you stumbled on my blog and enjoyed it! Yes, do come back for more anytime! Thank you so much for taking the time to read and comment! Thank you for stopping by! I’m so glad that you enjoy my blog! Thanks for taking the time to comment, and I apologize for the long reply-time. Come back soon! Thank you! I’m so glad that you’ve enjoyed my blog. I apologize for the long reply-time, but I hope you come back soon! Thanks for taking the time to read and comment! I’m glad I could help you out in some way! Thanks for reading and taking the time to comment. Come back soon! I’m so glad that you’ve enjoyed my blog! Thank you for reading, and for your kind feedback. Yes, do come back again! Thank you! Thanks for reading and commenting – come again soon! Thank you! I’m so glad you’ve enjoyed it here. Come back soon!